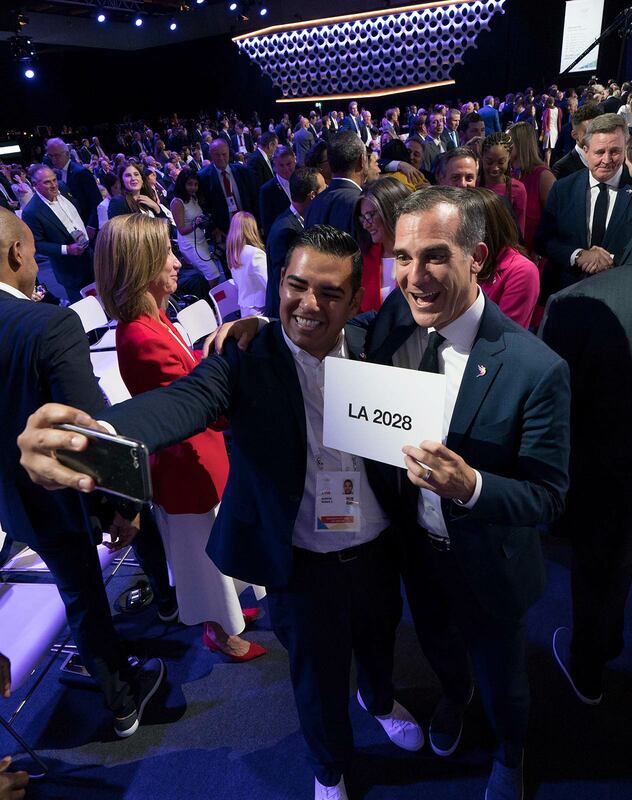 "Congratulations to Paris 2024 and Los Angeles 2028! This historic double allocation is a ‘win-win-win’ situation for the city of Paris, the city of Los Angeles and the IOC," said the IOC President, Thomas Bach. "It is hard to imagine something better. Ensuring the stability of the Olympic Games for the athletes of the world for the next 11 years is something extraordinary," Bach commented. "These are two great cities from two great countries with a great Olympic history. Both cities are very enthusiastic about the Games and are promoting the Olympic spirit in a fantastic way," Bach added. While celebrating the decision, Paris and Los Angeles both expressed their excitement in bringing home the Olympic Games. The idea of a Tripartite Agreement came to light after a working group of IOC Vice-Presidents studied the possibility of a double allocation of the Olympic Games 2024 and 2028. The working group was set up in March 2017. With the blessing of the 130th IOC Session that met in Lausanne in July, the IOC, Los Angeles, Paris and their National Olympic Committees have been working together in order to reach the agreement that was ratified by the IOC Session today. Los Angeles and Paris have put together very inspiring projects. Both have embraced Olympic Agenda 2020, particularly in the way they are planning to use a record-breaking number of existing and temporary facilities.